OSHA has long regulated work done in confined spaces in the interest of minimizing risks to workers. On August 3, 2015, however, new OSHA regulations went into affect that will significantly impact the construction industry. Are you ready for the changes to come? 1. What is A Confined Space? The space must be large enough to be occupied by a single person. The space must not be intended nor designed for continual occupancy. The space has limited entry and exit. Some spaces that typically fall into this category include boilers, manholes, air conditioning ducts, bins, and storm drains. Other factors, such as atmospheric hazards, the possibility of engulfment, and other serious hazards may play a role in the classification. 2. Why Are The OSHA Regulations Changing? The existing regulations that pertained to general industry were deemed to be inefficient for the construction industry. According to OSHA, the new standard “incorporates construction-specific provisions, reflects advances in technology, and improved enforceability of the requirements.” It also places additional emphasis on training, monitoring and evaluating, and communication. By clarifying what constitutes as a confined space and creating construction specific parameters, the goal of the changing OSHA regulations is to make employees safer in the exact situations they need it the most! The regulations now more appropriately reflect the fact that construction sites often employ multiple contractors and subcontractors, and they subsequently enable better coordination between all stakeholders. The new regulations clearly outline the components of a qualified confined space plan: pre-entry planning, better identification and designation of confined spaces, evaluating potential hazards within those spaces, and seeing to it that those hazards are eliminated or controlled. It’s the responsibility of the various employers to train their workers on confined spaces and to designate the individuals who will work in them. In some sub-categories of confined spaces, an attendant must be at the entrance any time work is being done inside. Employers are responsible for making sure that any work being done outside of the confined space doesn’t introduce hazardous materials into that confined space. For example, employers should refrain from operating generators outside of a confined space when workers are inside, due to the risk of carbon monoxide buildup. When possible, employers must monitor the quality of the atmosphere inside the confined space. Employers are also responsible for continuously monitoring any engulfment hazards that may be present. If an employer is relying on local emergency services, both parties are required to establish communication in advance. The employer has to let emergency services know that their help may be needed, and emergency services must inform the employer of anything that might affect their ability to provide that help. The employer is responsible for providing training that is in a language the employee understands. In addition, the employer must determine whether any changes in responsibilities or circumstances might necessitate additional training. 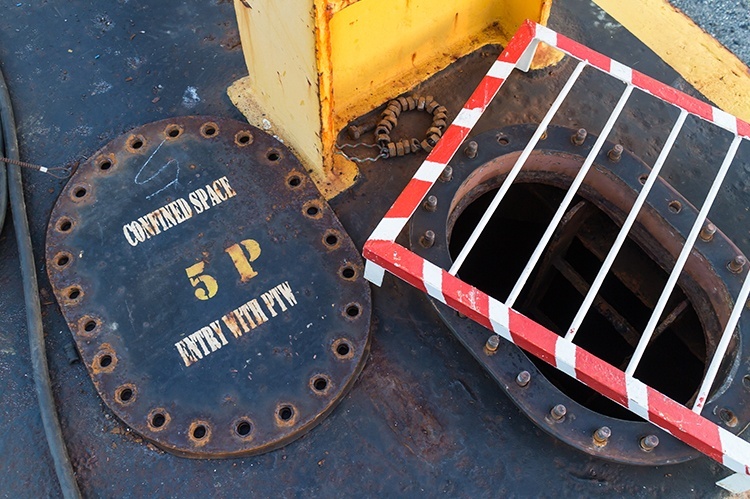 Employers must also make sure that only designated, authorized employees enter confined spaces. This includes putting steps in place to keep non-authorized personnel out. The new regulations stipulate that “entering” a confined space means putting any part of the body into that space; it does not require being completely inside the space. OSHA now considers not making a decision about a confined space to be a decision in itself. In other words, inaction is equal to action in OSHA’s eyes. Since confined spaces were already highly regulated, meeting these new standards shouldn’t be too much of a burden for most employers. The important part is to understand what’s changed, make plans for complying with those new requirements, and informing everyone at the worksite as to what that means for them and their jobs. Is your construction site prepared to be in compliance with the new OSHA regulations? If not, what do you need to do to get there so OSHA doesn't come knocking.